Amalaki Ekadashi is a Hindu holy day ,celebrated on the 11th day (Ekadashi) of the waxing moon, in the lunar month of Phalgun (February–March). It is a celebration of the amalaka or amla tree known as the Indian gooseberry. Prernamurti Bharti Shriji in these excrept of discourse has let us know the,Significance , Vrat Katha and Fasting Bebefits Of Amlaki Ekadashi.Shriji said ” Do you know what it is? It’s Amla (Indian gooseberry).It is known as Aamalki. How did it originate?Lord Vishnu once spat.That drop fell on earth and from that one white dot was formed from which Aamalki tree originated.This tree is known as Vaishnav tree.On earth, amla is considered to be like elixir.The juice of Amla like elixir nourishes and gratifies the human body. During the season of amla, any person who eats 3 amlas does not have to face any disease or hardships.For heart diseases, amla is like a boon.Eating amla jam, drinking amla juice along with honey, worshipping amla tree, using amla in various forms; it’s similar to a treasure of health for human beings.Hence you should worship Aamalki tree, eat amla without fail. Deities had seen many types of trees before like Ashwath tree, but they were surprised after looking at this new tree and they started thinking – which tree is this, what fruit it gives and how did it originate?Then there was celestial announcement from sky.It said – Oh Deities, Lord Vishnu loves this Aamalki tree.In its roots – Lord Vishnu, on top of that – Lord Brahma and in its stem – Lord Rudra resides.In its branches – Deities and Rishis reside, in leaves – Vasu resides and in its flowers – Marudgan resides.Hence, this tree will be considered as the most holy tree. Deities asked – Who are you, doing celestial announcement from sky?Then celestial announcement was made from sky – Oh deities, I am Lord Narayan, Lord Vishnu.This Aamalki tree which originated on earth, is a boon for human beings which destroys all the sins, will be considered as a holy tree.It’s chanting gives the fruit which is attained by donating cow.By touching it – fruit is doubled, and by eating it – fruit is tripled.Hence, human beings should consume amla. Deities asked Lord Narayana – Oh Achyut, please tell us, by observing which fast the souls living in the mortal world will be benefited?The most kind lord said,” in falgun month , shukla paksh, pushya nakshatra dwadashi is considered to be the most auspicious date . A day before is Ekadashi and whosoever observes this fast near amla tree by awakening for the whole night , gets rid off all the sins. O’ Goddess earth, countless horses and chariots run over you. Lord Vishnu in ‘Vamana’ incarnation had covered you in a single step, I have been purifying myself by bathing with your soil, kindly get me rid off from all the sins, worries and distress. Then put the soil over your body and bathe. There is a mantra for bathing too. I will tell you the meaning of that mantra. While bathing, do pray to the goddess of water, O’ Goddess of water, you are the life line of all the creatures on the earth, you feed all types of creatures. Everywhere whether its well, river, pond, spring or lakes, bathing in every pilgrimage or temple or deity’s place, with this bath I will be getting the merit of bathing in all such pious places. .If you cant remember these names, then chant OM VISHNAVE NAMAH,OM ANANATAYE NAMAH, OM ACHUTAYE NAMAH, OM GOVINDAYE NAMAH and worship this tree with kumkum, abir & gulal. OFFER SALUTATION TO Amla tree by chanting’ Om vishnave namah, om govindaye namah’ and lit a diya ,do aarti and imagine you are personally worshipping the Lord. After this say, “dhoopam darshyami, deepam darshyami”..after that do 28 or 108 circumambulation(pradakshina) of this tree . What do u get as the fruit of waking up for the whole night on this day & worshipping is like a bumper offer from Supreme Lord since present time is the time of bumper offers. One gets the fruits of all yajnas , charities, pilgrimages by worshipping this tree and observing Ekadashi fast. Lord Krishna said to yudhishtra, O’ king, I have told u the friuts of observing this fast which Supreme lord Vishnu had told to deities, this eliminates all the sins. Everyone must observe it. Do not forget to worship this tree and consuming its fruit on this day. What food is to be consumed on Ekadashi ? As this ekadashi signifies the Amla, one should eat and worship amla on this day. Generally fruits, nuts, potato, sweet potato, olives, milk, ghee, sugar, coconut, ginger and black pepper. Lord Krishna said to Yudhistara O king! one should avoid Repudiation of Ekadashi . Ekadashi fast attenuates Salvation. In kaliyuga Ekadashi fast has significance to get rid of materialistic world. The one having aim of salvation should follow Ekadahi fast. The four Purusarthas, Dharma, Artha, Kama, Moksh all gets attainuated by person fasting on ekadashi. Ekadashi fast is endear to Lord Vishnu, and fasting attainuates enlightment and makes free from worldly desires. The Ekadashi falling on second sect of Purushottam maas is known as Kamda ekadashi. Kamda means the fullfilment of complete kamna or wish. The one fasting in precise manner becomes happy in both the folds of world. Kamda ekadashi has significance of most holy and felony Ekadashi. What to do on Kamada Ekadashi ? One should worship Lord Vishnu with friuts , flowers and offerings. one should make Repudiation of ten things on dashmi, eleven on ekadashi and twelve on dwadashi, what are those ?? How to be free from SINS?? How to be free from Worldly desires and attenuate salvation ?? Divine lord said, O ! Yudhistara, Padmini Ekadasi is the Ekadashi, falling in the Adhik Maas. 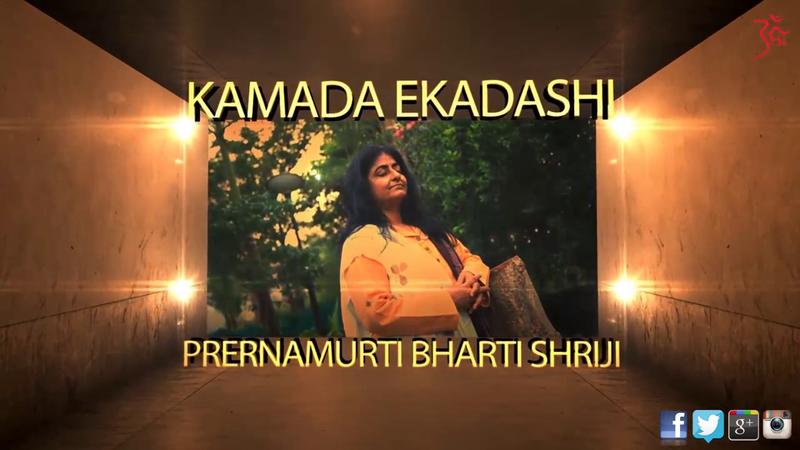 Padmini Ekadasi is known as kamala Ekadashi. According to Lord Shri Krishna,a priest named Shiv sharma had five sons. One of his son gets indulged into bad company and thus performs bad deeds, hence came to be known as ‘Papachari’. Seeing his evil side his family members disowns him and asks him to leave the house. As a result, due to his bad deeds he had to wander around in the forests and suffered from long exile. One day while wandering around he reached Prayag from Devyoga. He saw the movement of people in ashram of saint Harimitra. He saw all the people listening to the Kamla Ekadashi katha on the auspicious day of Purushottama month. He overheard the katha and observed fast along with all other saints. During night goddess Lakshmi appeared in front of him and told him that she is pleased with his devotion and fasting of Kamla Ekadashi, and Lord Vishnu has sent her. Goddess tells him that observing this fast gives freedom from the sins and bad deeds performed by the person in all lives. the Ekadashi day, is meant for total fasting. Praying to Shree Hari Vishnu is the order of the day. Some people avoid sleep during Ekadashi night and they hear religious discourses and perform Bhajan Kirtan. For more datails check the link……….